1028 left in stock, Hurry! 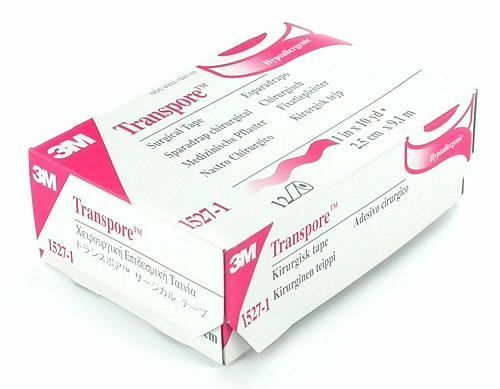 Transpore medical tape by 3M is a hypoallergenic clear, porous plastic tape. It's easy to handle even when you have gloves on, and it has an easy bi-directional tear. Transpore adheres well to both skin and tubing, and it's water-resistant. This flexible tape allows users to tailor the tape to work with various wound dressings and devices. Use it to prep your work area before you begin tattooing or piercing, or to bandage clients up before they leave your shop. Each roll of Transpore tape is sold individually (price per 1 or Case) and comes with 10 yards of 1" tape (2.5cm x 9.1m). Please Note: This listing is for one single roll. For Case Discounts, please check out for Qty 12 (1 case of 12 rolls) or Qty 120 (10 cases).